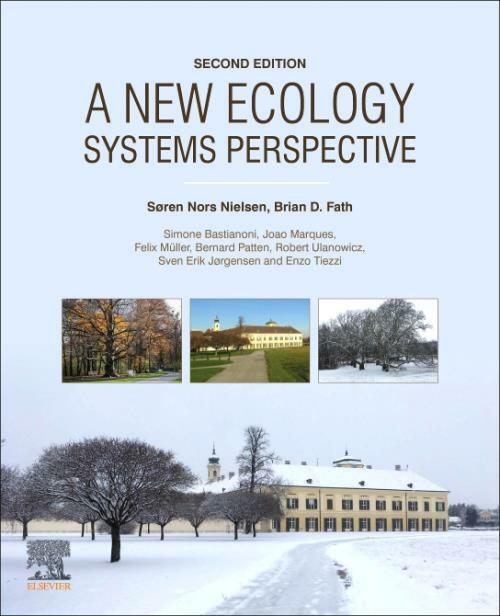 A New Ecology: Systems Perspective, Second Edition gives an overview of the commonalities of all ecosystems from a variety of properties, including physical openness, ontic openness, directionality, connectivity, a complex dynamic for growth and development, and a complex dynamic response to disturbances. Each chapter details basic and characteristic properties that help the reader understand how they can be applied to explain a wide spectrum of current ecological research and environmental management applications. Simone Bastianoni is a Full Professor of Environmental and Cultural Heritage Chemistry at the University of Siena, is Chair of the PhD School in Environmental, Geological and Polar Sciences. He is President of the Emergy Society; Member of the Standard Committee of the Global Footprint Network; Specialty Chief Editor of the journal Frontiers in Energy Systems and Policy and Editor of the section Human Ecology and Sustainability of the Encyclopedia of Ecology. He leads the Sustainable Development Solutions Network team at the University of Siena and the sustainability indicators team for the PRIMA Programme. Born in 1957 (Lisbon, Portugal), PhD in Ecology (University of Coimbra, Portugal) in 1989. As marine and estuarine ecologist, he has worked on biological and ecological processes, systems ecology, and ecological modelling. He coordinated 24 large research projects, both funded by Portuguese Agencies and European Union Programs, playing a key role in creating new research infrastructures at Portuguese national level. Thus far, he has authored or co-authored approximately 300 scientific papers in international refereed journals, 6 books, and 17 book chapters (international editions), having supervised the research work of 51 MSc and 32 PhD students, and 17 Post-Doc Researchers, in Portugal and abroad (Europe and South America). He is Editor-in-Chief of the Ecological Indicators Journal - Elsevier since 2016. In 2017 he was laureate Prigogine Gold Medal for his work in the field of Systems Ecology. Felix Müller has studied Biology and Geography. His PhD thesis about soil-geographical investigations on the fate of pesticides in ecosystems was published in 1987. FM was coordinator of the long-term project "Ecosystem Research in the Bornhöved Lakes District and has worked in more than 25 research projects. Since 2010 FM has been affiliated as leader of the Department Ecosystem Management at the Institute for Natural Resource Conservation of Kiel University. The main recent research interests are ecosystem analysis, modeling, ecosystem services, ecosystem theories, and indicator applications at the landscape scale. FM has been editor of more than 20 books and has published more than 130 scientific papers. He was editor-in chief of the journal "Ecological Indicators and board member of several journals. FM was the president of the German chapter of the International Association of Landscape Ecology and Secretary of the German Chapter of the International Long-Term-Ecological Research Program. Bernard C. Patten is Emeritus Regents' Professor of Ecology at the University of Georgia, USA. He is a systems ecologist and ecological modeler, interested in the application of mathematical system theory to ecosystems. He and his colleagues have formulated an environmental system theory, environ theory and analysis, that pioneers the application of network mathematics to ecological networks such as food webs and biogeochemical cycles. He has been a distinguished visiting professor, and has lectured and conducted short courses nationally and internationally. His research publications include 215 papers and nine books on topics spanning marine, freshwater and wetland ecosystems. His edited works include the four-volume series Systems Analysis and Simulation in Ecology (1972-76, Academic Press), two volumes on Wetlands and Shallow Continental Water Bodies (1990, 1994; SPB Academic), and Complex Ecology: The Part-Whole Relation in Ecosystems (1995, Prentice Hall). A multivolume monograph, Holoecology, The Unification of Nature by Network Indirect Effects, is currently in preparation.